Until just a few years ago, Moussa Koussa was the head of Libya's intelligence service and, in that role, developed a close working relationship with the U.S., especially on counterterrorism. But this relationship has been complicated at best. Vince Cannistraro, a former CIA official, has never met Koussa, but he's been tracking him and his career for years. "The man has been involved in a lot of unsavory activity," Cannistraro says. 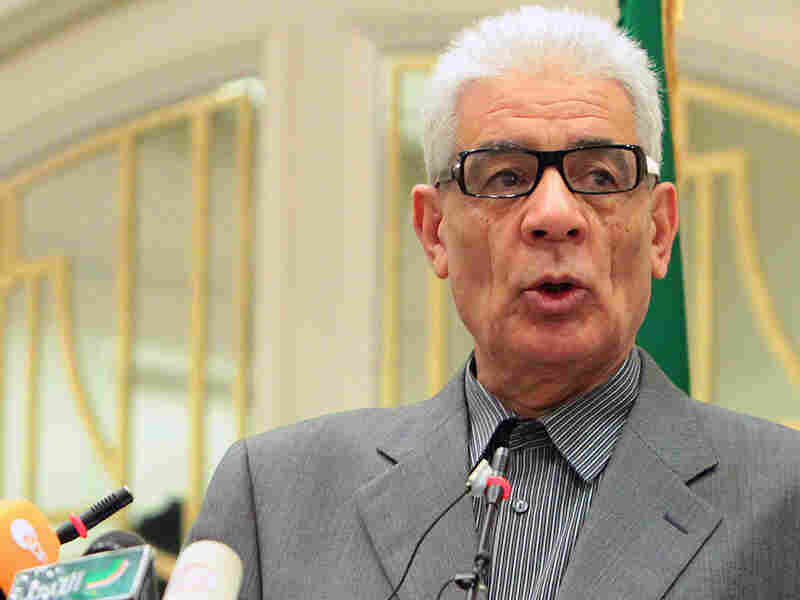 Cannistraro was stationed in Italy in the late 1980s when Koussa, who resigned as Libya's foreign minister and defected to Britain on Wednesday, was leading Libya's intelligence service. "One of the things that he pursued was the assassination of Libyan exiles that had really removed themselves to Italy," Cannistraro says. "I remember being instructed by Washington to go out and warn as many exiles that I could find that they were targets of assassination plots, and they should leave Rome and leave Milan and go someplace else for at least an interim period of time. " Cannistraro says that several years later, he too became the target of a Libyan assassination. After he retired, he made public comments implicating the Libyan government in the 1988 bombing of Pan Am Flight 103 over Lockerbie, Scotland. "And that made me a target of Gadhafi, and Moussa Koussa was in charge of orchestrating an assassination attempt against me," Cannistraro says. Whatever Moussa's personal history was, both we and the British government were able to overcome it for broader national interests with regard to [weapons of mass destruction] and mutual interests when it came to fighting al-Qaida. He says he was lured to Cairo, supposedly to meet with Gadhafi's brother-in-law. "But I was informed by Egyptian and U.S. intelligence that it was a setup and I shouldn't go," he says. Cannistraro then watched, over several years, a transformation in America's relations with Libya. The man who he says tried to kill him became an important U.S. partner. In the 1980s and 1990s, the U.S. saw Libya as a serious terrorist threat. The United States bombed Tripoli. The international community imposed economic sanctions. Then came the Sept. 11 terrorist attacks — and Libya became useful. "Moussa Koussa was very smart, and he guided Libya's foreign policy to coincide with the Americans and the British as a way of getting out from under the sanctions," Cannistraro says. To do that, Koussa helped convince Gadhafi to give up his nuclear weapons program. He also turned Libya into a key U.S. ally on counterterrorism, turning over al-Qaida operatives and giving information about an al-Qaida feeder group in Libya. Koussa had become an ally. He was "professional, intelligent, knowledgeable about the United States," says former CIA Director Mike Hayden. "Moussa was a serious guy. He delivered." Koussa has roots in the U.S. — he graduated from Michigan State University in the late 1970s with a degree in sociology. And he was seen as someone the CIA could work with. "Whatever Moussa's personal history was, both we and the British government were able to overcome it for broader national interests with regard to [weapons of mass destruction] and mutual interests when it came to fighting al-Qaida," Cannistraro says. The primary U.S. national interest in Libya now is neutralizing Gadhafi and changing Libya's leadership. Hayden says Koussa could provide information about how to make that happen. They say he's cooperated before — and they're hoping he'll do so again.